You are here: Home / All blog posts / FACEBOOK GROUP FOR THE RICKS LOOMATIKS! 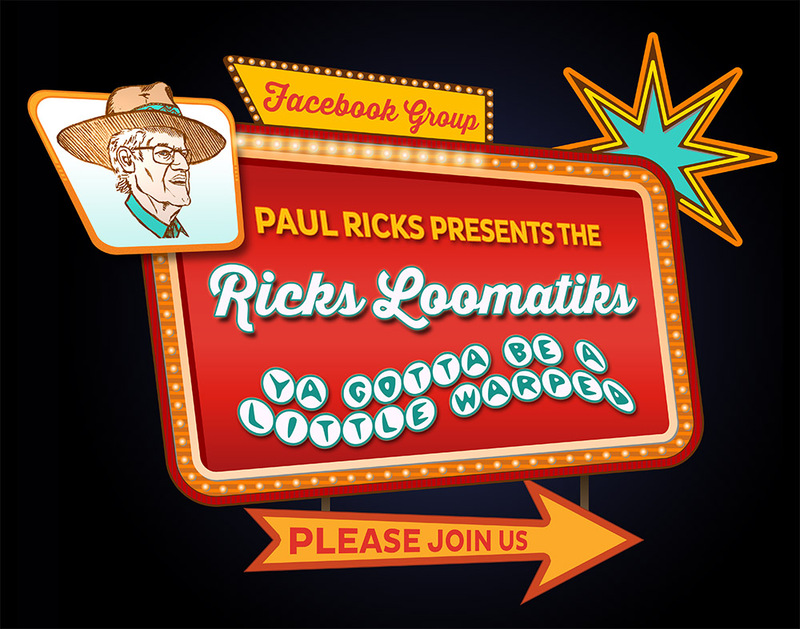 Finally, I have the OFFICIAL face­book group for the Ricks Loomatiks up and run­ning! If you are a mem­ber of a local chap­ter of The Ricks Loomatiks, just go to https://www.facebook.com/groups/ricksbeadingloom/ and click “join” to be added to our group. BEWARE there is another unau­tho­rized group using the same name out of the United King­dom. If you don’t see the ban­ner pic­tured above, you’re on the wrong page! If you are a user of The Ricks Bead­ing Loom, but not yet a mem­ber of the Loomatiks, just email me at info@ricksbeadingloom.com with the city, state and zip where you live or buy beads and I’ll get you set up with a local chapter. What are The Ricks Loomatiks? Sim­ply put, The Ricks Loomatiks are merely a group of peo­ple who own a Ricks Bead­ing Loom and are hav­ing so much fun with it design­ing and cre­at­ing jew­elry and wear­able art that they wish to get together and enjoy them­selves shar­ing ideas and, in gen­eral, hav­ing a lit­tle party while work­ing with their looms! Is it a FORMAL orga­ni­za­tion? No, but the name “The Ricks Loomatiks” is trade­marked and reserved for use by chap­ters of Loomatiks. The peo­ple involved can make their groups as infor­mal or for­mal as they like. There is no real need to have any struc­ture at all, if that’s the way they want it. Please add me to the Ricks Loomatiks page.